The Schwimmwagen Type 166 was powered by the same 1.1cc engine also installed in the Kubelwagen from 1943. In the water, the engine drove a three-bladed propeller at the rear of the Schwimmwagen. 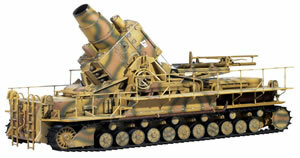 The type 166 was very popular, mainly because of the off-road capabilities thanks to the 4wheel drive. However, its amphibious capability was rarely used in action. 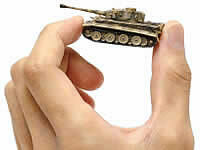 Dragon's new 1:6th version is suitable for use with all 1:6th scale action figures. Perhaps the most iconic and famous photo to come out of WWII. The photograph featured five U.S. Marines and one Navy Corpsman raising the Stars and Stripes on the fifth day of the 35-day battle. This is perhaps the most reprinted photo of all time and it remains an enduring image of WWII. 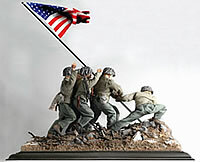 Everything needed to recreate this recognizable image in 1:6th scale is included in this set entitled Uncommon Valor. 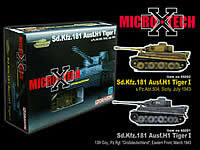 High quality easy to assemble 1/144 scale kits with decal by Cartograf and photo-etched parts. 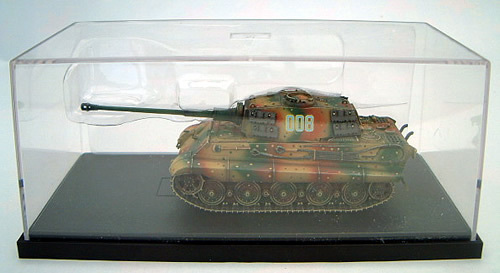 Ready Made Panzer Korp Tanks Now Available Individually!